A bronchoscope is a tube with a tiny camera on the end which is inserted through the nose (or mouth) into the lungs. 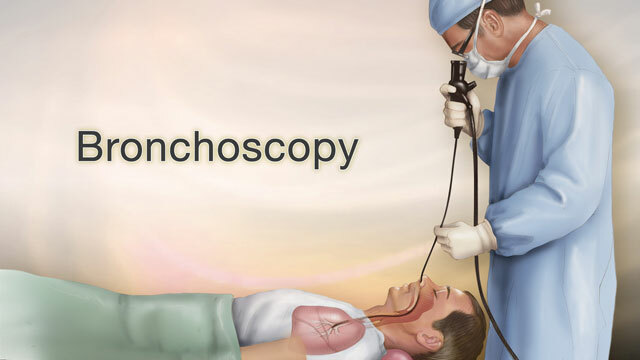 During a bronchoscopy procedure, a scope will be inserted through the nostril until it passes through the throat into the trachea and bronchi. 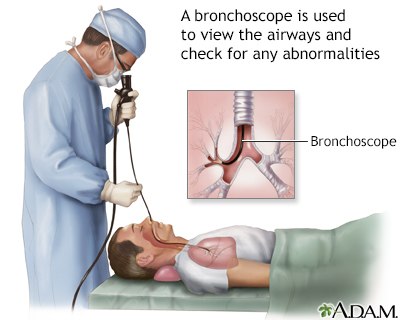 A bronchoscope is used to provide a view of the airways of the lung (tracheobronchial tree). The scope also allows the doctor to collect lung secretions and lung tissue for biopsy for tissue specimens.